LA’s Min. Wage Will Be $15 by 2020. But This Bay Area City’s Minimum Will Be $14.44 By July. With proposals to raise the federal minimum wage languishing in Congress, cities are increasingly taking matters into their own hands and leapfrogging ahead of the current national rate of $7.25. On May 19, Los Angeles became the largest city in the country to approve a $15 hourly minimum wage—one of several California cities including San Francisco, Oakland and San Diego which have recently passed substantial wage hikes. Seattle, Washington, set the precedent in June 2014, pledging to raise its minimum to $15 over the next two to seven years, depending on the size of the company. Most of the increases will be implemented gradually over several years. LA’s minimum wage, for example, will reach $15 by 2020. But earlier this month, one small California city decided that its low-wage workers shouldn’t have to wait that long for a living wage. This summer, Emeryville will set a new national precedent when its minimum wage surges to nearly double the federal rate. The mayor—an ardent supporter of the living wage campaign in Emeryville and the national Fight for $15—instructed attendees of the May 5 city council meeting to hold their applause and boos until everyone had talked. As dozens of low-wage workers, union representatives, faith leaders and community members addressed city government officials on the moral, social and economic significance of passing the living wage ordinance, seated supporters signaled their approval with spirit fingers twinkling in the air, Occupy-style, and signs reading “Let’s Give Emeryville and Workers a Raise” rippling back and forth across the room. If boos had been permitted, it’s unclear they would have been forthcoming. Of the scores of speakers that night, only three issued any reservations about the proposal and not a single person spoke in outright opposition. Just minutes after public comment came to a close, the council approved a “first reading” of the ordinance unanimously, guaranteeing its passage into law. When the vote concluded, audience members began hugging and high-fiving. “You can clap now,” Mayor Atkin told them, and the room erupted in celebration. The ordinance’s path to victory began in 2014. It first surfaced at a time when the Lift Up Oakland coalition—a network of local nonprofits, unions, elected officials and progressive businesses—was building momentum in the nearby city for a November 2014 ballot initiative, which would raise the city’s minimum wage to $12.25. After the measure passed overwhelmingly, Mayor Atkin quickly assembled a team of supporters to push for similar legislation in her own city. 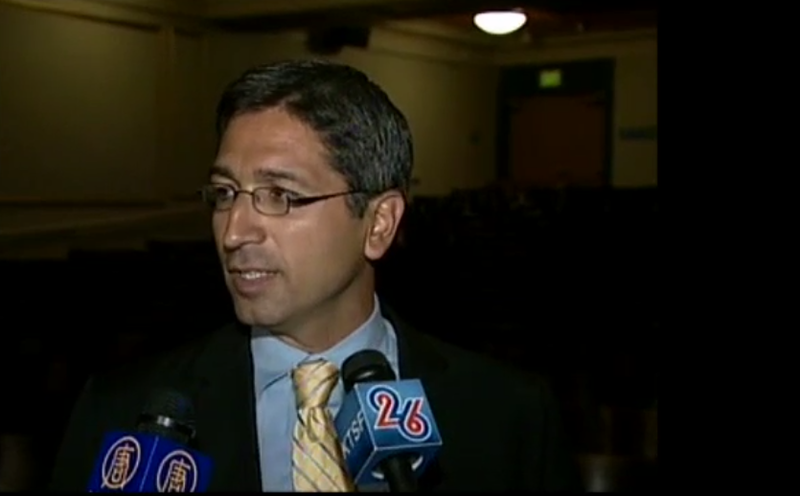 Most of those involved in hatching the Emeryville ordinance had worked on the Oakland campaign, and some of them, including the mayor, had helped pass Measure C in 2005. This groundbreaking law compelled Emeryville’s four big hotels to increase their workers’ pay, implement job security rules and adhere to workload standards, which are crucial in an industry responsible for a high number of on-the-job injuries. Despite an extremely expensive campaign waged by the No on Measure C camp, which called itself the “Committee to Keep Tax Dollars in Emeryville,” 54 percent of Emeryville voters endorsed the hotel regulations, which have subsequently served as models for cities like Long Beach and Los Angeles. 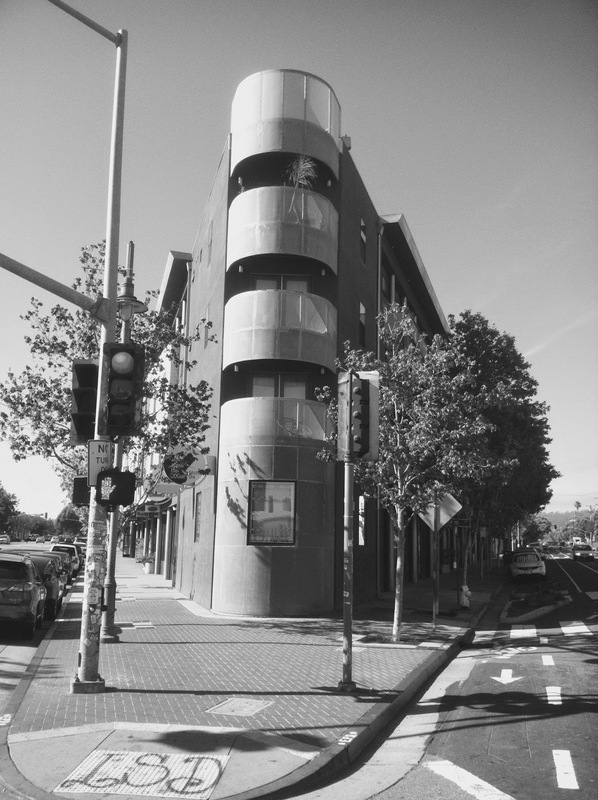 With the 2005 victory, Emeryville seemed to make a political pivot. Once known as a corporate haven with a city council largely dominated by business-friendly voices, the city has since become a distinctively progressive city at the national forefront of living-wage activism. Vice Mayor Nora Davis recently announced the City of Emeryville's intention to conduct a public meeting to make sure Emeryville residents know that crime is illegal. The Chief of Police, Dave Hall confirmed the proposed meeting, adding people need to call the police when crime is witnessed. Normally, people have grasped the idea by the time they turn 18 years that crime is illegal and that the police should be called in response, however apparently in Emeryville, Councilwoman Davis feels there are many people who never gleaned that and some public education is in order. City Hall has not revealed how much taxpayer money will be spent on the educational meeting but some amount of paid staff time, at least Mr Hall's, will be allocated to the effort. The date and the time of the meeting has not yet been announced, but the Tattler will report on this when it is available. 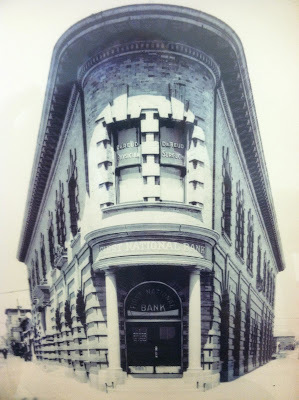 The trials and travails of Emeryville's weak and pathetic General Plan have been well documented by the Tattler over the years, including last week's piece highlighting the destruction of the architectural gem formerly known as the First National Bank Building on San Pablo Avenue. 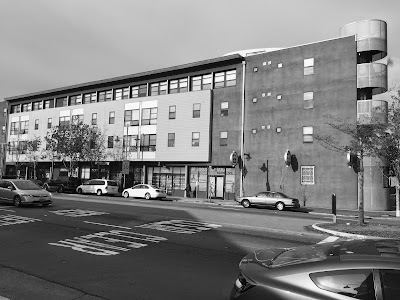 That iconic piece of Emeryville history in brick and stone was destroyed to make way for the post-modernist architectural pablum that now opprobriously occupies the same site. The General Plan didn't have the legislative or moral authority to secure what Emeryville residents have declared as sacrosanct; part and parcel of progressing is remembering. We wish to save some of our older buildings. Not up to the task. The problem comes when developers seek permission to construct projects that involve tearing down our historic and architectural buildings of merit. The General Plan expressly forbids that but we've yet to see an instance where the Plan has been strong enough to ward off such an attack. It's clear to all; our General Plan, so democratically vetted it won an award from Sacramento, is no match for any developer seeking to make a buck in our town. But what about Emeryville's former general plan? How did that plan fare against developers also so inclined? As it turns out, Emeryville's previous general plan was no better than what we've got now. The previous general plan, encoded some 25 years ago was not nearly as vetted by the citizenry as the current iteration. The City Council simply paid a city planning firm to write it up and then the public was given a few chances to comment before it became the central guiding document for the City. 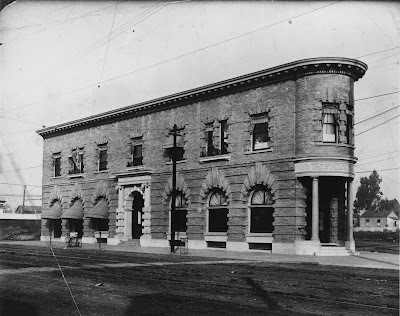 However even without the current Plan's democratic bona-fides, the old plan also recognized the value in retaining Emeryville's historic architectural legacy, especially in the Park Avenue core. Vernacular nineteenth and early twentieth century brick factories and warehouses were identified as a specific protected class of buildings by the plan. These buildings were to be retained and converted for new uses. The idea was not only to save Emeryville's architectural legacy but also to keep Emeryville as a place for start up entrepreneurial businesses, owing to the cheaper rent in these existing buildings versus new construction. Consider the Disney/Pixar campus site. 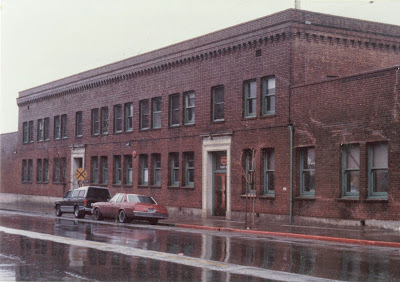 The Emeryville General Plan was unequivocal; The old nineteenth century brick cannery row Del Monte factory on Park Avenue, its many buildings torn down in 1996 (mistakenly reported 1992 by the SF Chronicle), should have been saved. But it wasn't that our General Plan lacked the cajones to stand up to Pixar...it wouldn't have, but it wasn't Pixar that demolished this massive site. It was actually torn down for no reason at all. At first, Kaiser Permanente wished to tear down the old Emeryville cannery row to build a hospital. The General Plan needed to be amended to specifically allow hospitals to be built on that parcel and that was quickly done by City Hall to accommodate Kaiser in 1994. The beautiful Del Monte buildings were to be torn down, the General Plan be damned. But then suddenly Kaiser pulled out of the deal, presumably returning the buildings to their protected status afforded by the General Plan. But that was not to be the case. Instead the Redevelopment Agency took it upon itself to demolish Emeryville's historic legacy on Park Avenue with no proposed construction project even in the pipeline. The General Plan was overturned so Emeryville could clear 20 acres of land in the center of our town to search for a developer to buy it. It wasn't until later, 1998 with the site cleared, that Pixar bought the land and finished their first building in late 2000. In a case of governmental hubris, Emeryville City Hall is now claiming on their official website, the land was cleared before Kaiser backed out of the deal...probably because the truth about a General Plan not even worth the paper it's printed on is embarrassing for City Hall. Cannery Row: part of the old Del Monte Canning factory. The General Plan said save this building (and others on the site). Large street trees and a security fence. People reported a strange looking pack of dogs on the Sherwin Williams site yesterday. Residents may want to keep small dogs and children indoors until a more detailed report is available. Last night the Emeryville City Council placed the conteteous minimum wage law on a new schedule after they cleaned up language in the ordinance that would have prohibited an employer from changing some pre-existing voluntary benefits to their employees. New language striking that unintended consequence was drafted and the ordinance was given a new first reading, putting the law on a new track with a July 2nd start date. The previous iteration of the ordinance would have started the new law on July 1st. The unintended consequence barring employers from changing their own internal employee benefits was brought to the attention of the City Attorney Mike Biddle by an outside legal firm. The problem might have left the City exposed to litigation Mr Biddle said. The Council vote adapting the change was unanimous. If you listen to a growing chorus of Emeryville's businesses, the proposed minimum wage hike, set for July 1st, has gone from being a destructive force ready to be loosed on our town to an acceptable, even desirable policy of a responsible government. It's the latest mood swing in the schizophrenic, some might say infantile shifting narrative expressed by the business community here since the City Council began talking about raising the minimum wage last summer. "All members of the community will benefit" they say. With the final 'high noon' second reading of the wage ordinance looming May 19th, the latest turnaround in attitudes has been as remarkable as it has been rapid. Only two weeks ago small businesses were set to descend on City Hall, pitchforks and torches at the ready with whisperings of recall campaigns directed against some Council members, now they seem to be quietly resigned or more remarkably, publicly extolling the virtues of what will be the highest minimum wage in the nation. At this point we imagine most business owners in town seeing the minimum wage rise as inevitable, would rather not further damage their public relations in a losing battle by continuing to agitate against increasing the wages of the working poor. An angry mob that was supposed to fill the Council Chambers at the first reading of the new ordinance on May 5th never materialized. As witnesses at that meeting heard actual minimum wage workers tell their stories of needless suffering and of the daily indignities they suffer, speaker after speaker, it became clear the business community would not say a peep. In fact several business supporters showed up, filled out speaker cards but declined to speak. Most surprising was when the Mayor called out for one such speaker, "Rob Arias...Rob Arias.... is Rob Arias still in the building?" Mr Arias, the editor of the pro-business right wing opinion blog the E'Ville Eye, slinked out of the building moments before his time to speak arrived, taking his minimum wage moratorium petition with him. Many attendees expressed surprise Mr Arias left without speaking because he has been using his blog as a platform for business discontent over the minimum wage for months. That blog was the entrance portal to the petition Mr Arias was pitching to try to turn the tide against the City Council majority and their minimum wage vote. The petition, signed by many businesses, was meant to serve as a cudgel against the Council members intent on raising the wage. But in the end, the City Council never even received the petition, Mr Arias didn't present it to the Council. Tellingly, Mr Arias who had earlier in the year publicly repudiated academic studies as untrustworthy for information about the minimum wage ordinance later reversed himself and demanded a new study be conducted as a pretext for the minimum wage moratorium petition. While Mr Arias' E'Ville Eye has been busy trying to gin up sentiment against the minimum wage ordinance, businesses are stating to embrace it, even those whom had earlier signed Mr Arias' moratorium petition. 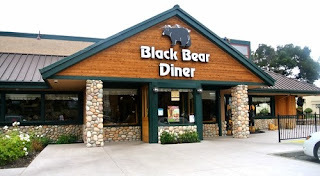 Perhaps the most surprising of the turn-arounds is the Black Bear Diner. Credited with starting the fight against the minimum wage last March, they now back the ordinance. In a May 4th letter to Councilwoman Dianne Martinez since made public, Black Bear's owners have reversed themselves, "we are comfortable with proposed resolutions [sic] that the City Mayor and Council members have reached" they said. In anticipation of the epic May 5th meeting, the E'Ville Eye started lining up the business community against the wage ordinance. The Editor put up a graphic portraying many logos of Emeryville businesses, highlighting their disdain for the minimum wage ordinance in an April 29th story. But even before the meeting, several businesses demanded Mr Arias take down their logos. Rotten City Pizza on Hollis Street was one, "We support the minimum wage ordinance" the owner told the Tattler. "We did not give Rob permission to use our logo" he added. The Area Director of I-HOP, Gary Marquez also told the Tattler the E'Ville Eye used their logo without permission, "I don't want our logo on anything we didn't pre-approve" he said. Mr Marquez also said he now likes the minimum wage ordinance the way it has been crafted, a 'good compromise' he said of it and he volunteered that he values all his employees, even the one's earning the minimum wage, "Our employees are our number one asset" he said. Badge Of Honor or Mark Of Shame? Arguably it's the most righteous piece of civic legislation in Emeryville history, the raise of our minimum wage to the highest in the nation. It's a powerful and demonstrative opening salvo in an Emeryville City Hall eager to change it's long time pro-developer, pro-business reputation to one representing the people's interests, the interests of social and economic justice. They have a lot to make up for. After all, this same City Hall has for a generation delivered to our town many development projects stuffed with tons of low paying service sector jobs. After July 1st, when the national media starts reporting on what Emeryville has done, those among us who don't want our city to continue to be a locus for poverty, those who value human dignity and an honest paycheck for an honest day's work will take pride in our local government and this City Council majority's work. Shockingly, what we who value these virtues consider honorable, is the same thing some business hold-outs and dead-enders like the E'Ville Eye consider a mark of shame. When that blog tells its readers Emeryville is to have the highest minimum wage in the nation, it's meant to be seen as an outrage even as it appropriates progressive language to feign a progressive outlook. But this is the same sort of talk we have heard before whenever real progressives move to increase the minimum wage. 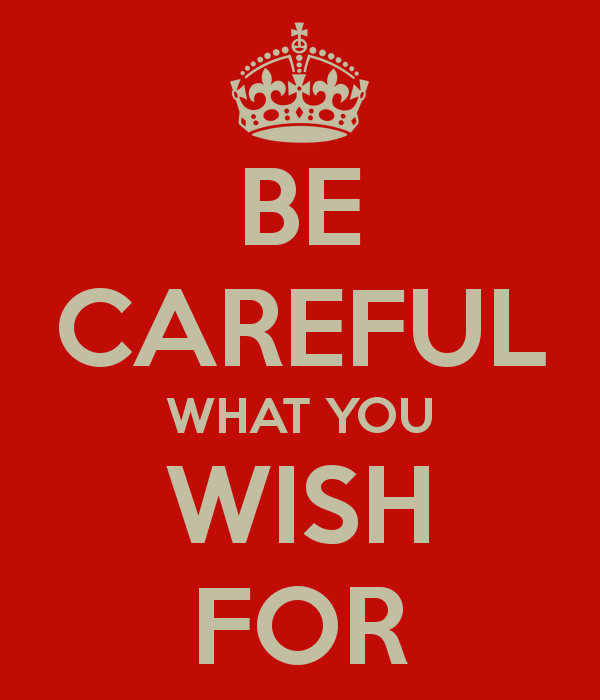 That blog and its hangers on may use progressive language but theirs is a dark vision of our town. The true progressives, the ones moving Emeryville forward, can be found among our Emeryville City Council majority, performing the work local government is supposed to do. We expect them to complete this vital and meaningful work they've taken up on Tuesday. Screen shot of E'Ville Eye April 29th story. vision promulgated by that blog. Emeryville has a really impressive General Plan...outwardly impressive but alas, essentially worthless. It's the premier planning document that directs how our town is to develop over time. It's impressive because among other things, it was forged democratically by the people of Emeryville. Indeed, our General Plan was so democratically vetted, it has received an award from the state for that, lending it a voice of authority. More than 25% of Emeryville residents took part in developing the General Plan...an enviable percentage other cities would love to have to lend credibility to their general plans. The full community engagement allows us to say with confidence our General Plan represents what the people collectively want for our city. Nevertheless, after having spent some $4 million on the General Plan several years ago, the Plan has become increasingly known by developers as having no value. It's worthless because it has proven to have a total lack authoritative force regardless all the public buy-in. For instance in every single contest between a developer that wanted to tear down a building in Emeryville and the protections afforded to it against demolition as mandated by the General Plan, our feeble Plan has buckled under the strain. And then the walls of the building buckled under the developer's wreaking ball. This remarkable disconnect between what the people want and what actually gets delivered has existed because of a hidden pro-developer agenda by the City Council majority for many years. The agenda has caused us to lose our architectural heritage among other social ills. 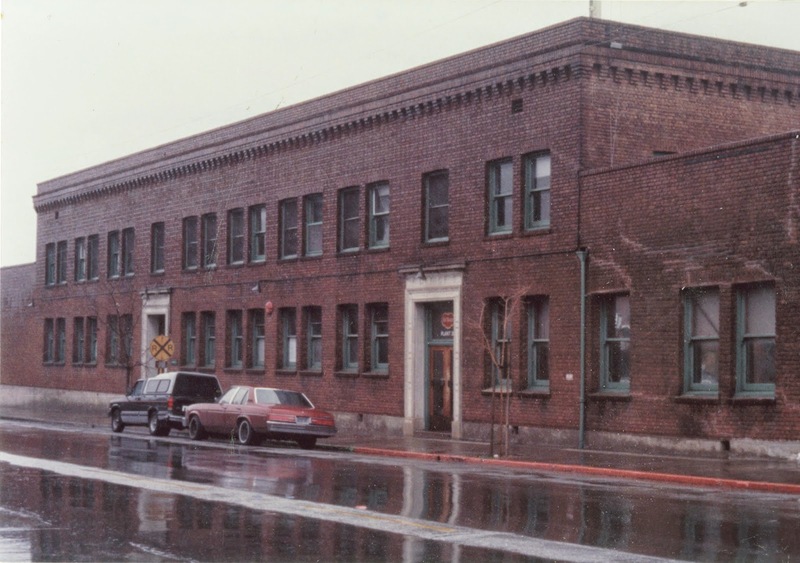 Twenty five years ago, Emeryville was primarily a place of 19th Century factories and warehouses. Vernacular and handsome historic brick buildings were abundant. The General Plan identified many specific buildings as being 'architecturally significant' and protected them from demolition. The current iteration of the General Plan as well as earlier editions of it were clear: historic brick buildings were catalogued and suggested be saved and rehabilitated for new uses. Besides the historical legacy and all the documented social good tidings such buildings provide, another benefit is realized when older buildings are retained; entrepreneurial start-up businesses and locally serving businesses are given a place to thrive owing to the cheaper rents older buildings allow. In November 2014, Emeryville finally turned a corner and elected a progressive City Council majority. We like to think the hidden agenda deference to developers died with the old guard Council majority. We like to imagine the wreaking ball will henceforth only be swung against buildings without historic and architectural merit. Unfortunately though, that November day of people power came too late for vast swaths of our town and we're going to have to live with the new 'any town' built Emeryville for generations to come. Note the 'Key System' street car rails on the street. The Emery Unified School District will tonight consider a number of layoffs, including the Instructional Aides at Anna Yates Elementary School. The Aides were distributing the below letter, addressed to the School Board, to citizens after school on Tuesday to inform them of the impending layoffs and to garner support. The full text of their letter, which notes the particularly detrimental affect these layoffs will have on English-language learners, is provided below. Now that Emeryville is going to have the highest minimum wage in the nation on July 1st ($14.42 for big businesses and $12.25 for small businesses, all raising to $15.00 per hour in 2018), Emeryville is no longer part of the problem....we're now part of the solution. On May 1, 2015, Chief Ken James #198 ending his work shift for the last time as Chief of Police for the City of Emeryville. Chief James dedicated 41 years of service – the last 17 as Chief - in this City, which he came to love. Chief James worked in all the capacities in the Department from patrol officer, canine handler, to detective, Sergeant, Captain and Chief. Chief James even patrolled on foot and bicycle, from time to time. Chief James has earned the respect of the Emeryville Community as well as that of the California Chiefs of Police, from EPD Personnel and other associations. We thank Chief James for his many years of service and wish him good health and happiness with his retirement. Interim Chief Dave Hall comes to us with the experience and wisdom of 30 years of service with the San Diego Police Department where he retired with the rank of Captain. He was a Management Fellow at California Peace Officer Standards and Training, where he also assumed a position as Bureau Chief. Chief Hall has also led San Diego Harbor Police as Chief, within the Unified Port of San Diego. Chief Hall has garnered many other accolades and made myriad accomplishments as an administrator for public safety agencies and as an independent contractor. Chief Hall will work with City staff to ensure our Community selects the best permanent Chief of Police for our great City, while tending to the day to day operations of the Emeryville Police Department. Please send thanks and fond farewells to Chief James, and a warm welcome to Chief Hall. Last night's Emeryville City Council vote puts Emeryville as the highest minimum wage in the nation (for large businesses) at least for a while. With the nation-wide 'Fight for $15' campaign, many other cities across the country are also looking to follow Emeryville's lead. The $14.42 wage set to begin on July 1st will make Emeryville eek up over every other city but likely only for a short while. BAY AREA, CA – Emeryville legislators voted unanimously to raise its minimum wage to $12.25 with a path to almost $16 by 2019, making it the highest in the nation. Their vote was spurred by consensus for a higher regional minimum wage between residents, workers, faith leaders, and small businesses. In their deliberations, Emeryville Mayor Ruth Atkin and Councilmembers cited the crisis of income inequality as the reason for their decision. The law will go into effect on July 1st after a final procedural reading of the ordinance on May 19th. The Emeryville ordinance will raise wages for small businesses to $12.25 on July 1, with a path to $15 by 2018. Big box retail stores and other major employers with more than 55 employees like IKEA – which profited $3.7 billion last year – will raise to Emeryville’s living wage of $14.44 on July 1. The two wages will converge in 2019 at an close to $16, and continue upward with annual cost of living increases. All workers will earn 6 to 9 paid sick days as well. At the Council meeting, roughly 25 members of the public delivered passionate testimony in favor with virtually no vocal opposition. There was clear consensus from workers, small business, faith leaders, and community members that $12.25 would be a fair place to start, helping workers, and beginning to create a regional standard to level the playing field for business. Emeryville is the latest city in a national movement for $15 that began in the fast food industry across the country. The vote occurred as neighboring Berkeley and Richmond also look to raise their wages. Last November, 82% of Oakland voters and 78% of San Francisco voters approved wage raises to address growing income inequality in the high-cost Bay Area region. Oakland’s $12.25 wage went into effect this past March 2, and San Francisco on May 1. More than 190,000 workers in Oakland and San Francisco won a raise thanks to the November initiatives. A higher minimum wage in those two cities alone will put $500 million into workers’ pockets, which gets spent in local businesses, growing the economy. More than half of the workers of color in those two cities received a raise. Lift Up the East Bay is an offshoot of Lift Up Oakland, a coalition of community, labor, faith, and small business organizations established to address income inequality and lift up low-wage workers across the region who are struggling to survive. 82% of Oakland voters supported an Oakland initiative driven by Lift Up Oakland, made up of the Alliance of Californians for Community Empowerment (ACCE), the California Nurses Association, the East Bay Alliance for a Sustainable Economy (EBASE), East Bay Organizing Committee (Fast Food Fight for $15), Restaurant Opportunities Center (ROC), SEIU 1021, SEIU ULTCW, Street Level Health Project, and UNITE HERE 2850. 78% of San Francisco voters supported Proposition J, sponsored by the Campaign for a Fair Economy, made up of SEIU 1021, the San Francisco Labor Council, UNITE HERE Local 2, the California Nurses Association, Jobs with Justice, the Alliance of Californians for Community Empowerment (ACCE), the Progressive Worker Alliance, Chinese Progressive Association, Young Workers United, and SF Rising. Tonight, the Emeryville City Council moved its landmark minimum wage ordinance forward in a unanimous 5-0 vote. The vote represents a 'first reading', a required step in a two part process for all new City ordinances. Some small tweakings of the previous iteration were made after the Council heard from a flood of ordinary citizens, community activist organizations, clergy, Union Representatives, RULE members and most of all minimum wage workers themselves. The first reading included language that would raise the rate of pay for all workers on July 1st with small businesses paying $12.25 per hour and big businesses paying $14.42 per hour. The Council defined a small business as one with 55 or fewer employees. Missing tonight were business owners with only one or two taking to the microphone. Several speakers intending to request the Council place a moratorium on enacting the minimum wage filled out speaker cards but failed to speak, notably the editor of the E'Ville Eye, Emeryville's pro-business blog. 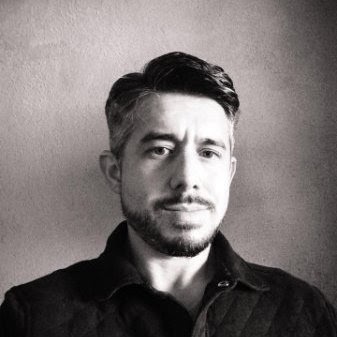 The editor, Rob Arias, has been agitating against the minimum wage ordinance for months, using his blog to demand an academic study to be performed before any more talk of raising the wage happens. Mr Arias and his business owner colleagues left the building after hearing many workers speak of their travails tying to make ends meet on the minimum wage. Look to the Tattler for more in depth coverage in coming days. We're going to cut our way to excellence. The Emery Unified School District's budget troubles, brought on by shrinking student enrollment, is being picked up by the local main stream media, promising to increase the drama at the beleaguered district. The Bay Area News Group is reporting the story first reported by the Tattler last week that massive deficits loom for Emery. The District plans on closing the existing elementary school and going with only 850 students at the yet to be build Center of 'Community' Life. The problem is the San Pablo Avenue site is not large enough to increase the student enrollment beyond that low number and thus revenue cannot increase, forcing Emery to massively cut programs. Parents, teachers and citizens have pleaded with the School Board to retain the popular Anna Yates Elementary School, but the Board, save member Christian Patz, has indicated they have already made up their minds to close Anna Yates. EMERYVILLE -- This tiny school district is teetering on the edge of serious financial problems and will have to cut staff and increase enrollment to balance its books. Superintendent John Rubio will present a package of cuts at the May 13 school board meeting to bring the $10 million budget back in line. "I'm reviewing our budget and all of our expenses, like our staffing and copy machines and utilities," Rubio said. "My goal is to keep any funding changes away from the students and classrooms as much as possible." He said the district has only about 40 teachers. School District Business Office Director Dora Siu told school board members at an April meeting that if spending continues unabated, the district will be in the hole by almost $1 million in the 2016-17 school year. "And if we keep spending the way we are, we are not going to make our goal of having a 4 percent budget reserve," Siu said. The financial problems are due to declining enrollment, which is tied to state funding, and "poor budget decisions," said school district board member Christian Patz. In 2000, enrollment was 962 students; this year, it's at about 700. The district received a "qualified" budget certification from the Alameda County Office of Education in March, which means it may not be able to meet its financial obligations. The district will have to submit a revised budget to the county in June. In 2001, the school district ran into financial troubles and had to take a loan from the state and be overseen by the Department of Education after a former superintendent ran up personal charges on his credit card, leaving the district $2 million in debt. State control of the school district ended in 2011. Its current problems are happening at the same time the district and the city are spending $90 million on a new all-in-one school project on San Pablo Avenue that will house Emeryville students from kindergarten through high school. The new Emeryville Center of Community Life will include a swimming pool, health clinic, city library, recreation center and teen and senior centers. Rubio said the cost of that project, in which the city is paying $20 million, is not related to the school district's budget problems because the money comes from a capital improvement budget and not an operating budget. Patz said the district can increase its funding by granting more transfers of students from other cities, called inter-district transfers. He said about 60 percent of high school students already come from other districts. In kindergarten through eighth grade, about 40 percent of students come from outside the school district, he said. The district's new school, which is set is set to open in January for high school students and May 2016 for all others and has a capacity of 850, could be a big draw for more students, Rubio said. "This would allow us to add up to another 150 students to our district," Rubio said. "I think many parents and students will be attracted to the new facility that has the latest technology in classrooms for teachers and for student learning." Patz said fixing the school district's problems comes down to some simple decisions. "We don't have any extra money, and we have to cut," Patz said. "The only way to balance the budget will be to increase enrollment or reduce staff." Q: How Can You Tell When You're Being Played? A Random Roll Of The Dice? to angry with no prompting? Or is there something else unseen controlling it? Small businesses in Emeryville are being played. And so are the residents of Emeryville; they're being played by an out-of-town right wing lobbying group and by big businesses in our town. The Sacramento business lobbying group, the California Restaurant Association, is working Emeryville, surreptitiously sowing the seeds of discontent in order to further their own anti-minimum wage agenda. They're working to turn smiles into frowns, to change the previously upbeat mood of our small business community, a community that so far has successfully steered the City Council to make the proposed minimum wage ordinance more amenable to small business desires. 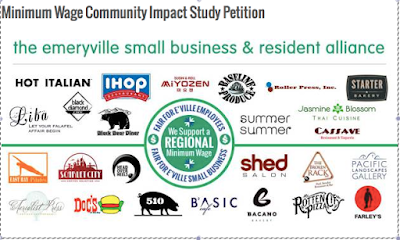 Regardless of the rousing success by small business at an April 7th City Council study session, this Sacramento lobbying group wants Emeryville small businesses to be unhappy with what the Council is doing. In fact they need small business to be unhappy right now...because if they're unhappy, then the California Restaurant Association and its big business backers here will have a much easier time, politically, getting Emeryville's minimum wage ordinance shut down. 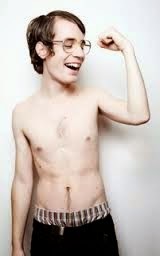 So they're using small businesses in our town to accomplish their goals. The mood among Emeryville small businesses shifted from sunny to sour in two short weeks. After they got virtually everything they asked for at the April 7th meeting, as reported by the East Bay Express, they walked out of the Council chambers high fiving and back slapping, celebrating their victory. But now they're so angry they're en masse petitioning the Council for a moratorium on the minimum wage all without any change or even talk of change whatsoever from City Hall. Is it a case of buyers remorse? But now they've had second thoughts...now it's all no good. Now they want to stop the whole thing and have the taxpayers pay for another study on the effects of the minimum wage on business. Mind you there have been countless studies conducted on this including a landmark UC Berkeley study the staff forwarded to the City Council to consider earlier in the year. The moratorium and study idea is a classic CRA stall tactic used to great effect in their state-wide fight against the minimum wage. It's right out of their play book. Here in Emeryville, they've got Emeryville's right wing blog, the E'Ville Eye, doing their job for them. But we must say, we're not too impressed with their planning in this up until now. The editor of the E'Ville Eye, Rob Arias, as recently as February was telling his readers that studies are not trust worthy things. Perhaps liberal scientists are perpetrating a hoax on Americans both with the minimum wage AND global warming. These liberal Council members in Emeryville can reference as many "studies" as they want but us reasonable people aren't going to listen to them or the pointy headed academicians that foist them on us. Thanks Bob. The truth is that City Council has no idea how this is going to impact the few small businesses in our community and they can reference as many “studies” as they want. Emeryville's small business community has morphed from happy to unhappy without provocation from City Hall and the E'ville Eye has morphed from distrusting and denigrating studies to demanding one, all with no new input into the debate....at least no PUBLIC input. The Tattler asked many small businesses in town this question; "You were happy before, after the April 7th Council meeting, but now you're unhappy...what changed?" It turned out to be a very uncomfortable question for every business owner we asked. One business, Scarlet City Espresso Bar stood out as emblematic among those queried. After the April 7th meeting where the small businesses got the Council to give them everything they asked for, we interviewed the owners at Scarlett City about how they felt the Council had handled the minimum wage issue. They said they felt good about the way the meeting went and they felt the Council had listened to them. Now, however Scarlett City has joined with angry small businesses and signed the petition against the Council. 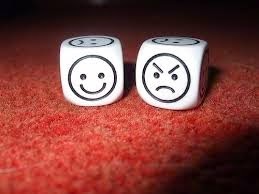 Our question, "Why are you unhappy now? What's changed?" elicited an angry "no comment" from the Scarlett City owners. And that's the way it's been with every business we interviewed. They can't tell us why they've moved from happy to unhappy. Businesses or people don't suddenly change their opinion like this with no reason. We know why this is happening...this is being orchestrated by the California Restaurant Association. If the small businesses were to remain happy with what Mayor Atkin called a 'consensus' at the end of the April 7th meeting, the CRA would be unsuccessful in its attempt to stop Emeryville's minimum wage hike. It's being done ostensibly for the benefit of Emeryville's restaurants but the big businesses, those who have been utterly silent on this issue, are really benefiting. The last thing Target or Home Depot needs is for news of their agitating against an Emeryville minimum wage increase to go massively public. So much better to let others fight for you and hide behind small business. After all is anyone going to be sympathetic to the complaints from the big boxes and fast food, that they're going to have to pay their workers more? Better to let the small businesses in Emeryville, the California Restaurant Association and right wing bloggers in town do the job for you.